The smart home is getting smarter, but two areas that are often overlooked are the humble power outlet and light switch. There are plenty of energy savings to be had by investing in a smart plug and/or smart switch. By controlling your lights and other appliances with one of these babies, you'll reap the savings of more efficient energy consumption. But what are the plugs and switches that are worth flipping out over? We've gathered up a guide to show you the light to the best smart plugs and switches on the market. 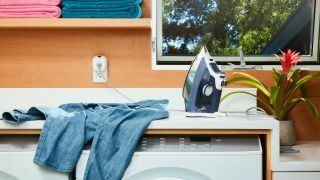 All of the smart plugs and switches in this list have been tested by TechRadar, so you can rest assured that all have passed muster. It's all about ease with the Elagto Eve Energy Smart Switch. Installing and updating the switch is a snap; all you have to do is plug it into an existing outlet, then plug your appliance in. The switch is compatible with Apple HomeKit, and, uniquely, it connects over Bluetooth, not your home's Wi-Fi. Despite this unconventional (in the smart plug/switch space) connection method, Bluetooth works perfectly well here. Like most smart plugs and switches, Elgato's design is on the bigger side, though you can still access the top switch if you plug it into the bottom one. The app is easy to use as well and keeps tabs on your energy consumption, plus estimated cost of the energy your appliance is sucking up. This isn't the most enthralling - or least expensive - smart switch on the market. However, it hits a number of the right boxes, and looks good in the home. Hive began as a manufacturer of smart thermostats, but has grown into one of the biggest names in smart home devices of all kinds, including lights, cameras, locks and plugs. It's one of the most affordable ecosystems to get into - cheaper than Philips Hue, if you're interested in trying smart lighting. The Hive Active plug requires either a Hive Active Heating thermostat or Hive Hub, but once you have that, it's simple to set up and use. You can create a schedule (with up to six time slots per day), trigger the plug using the Hive app on your phone, or link it to a Hive switch or sensor. Not only is it one of the cheapest smart plugs around, the Hive Active Plug is also relatively small, making it one of the most discreet (if not stylish) options available. The Belkin WeMo Insight is a neat little device. Well, it's not exactly "little" considering it's bigger than it looks in the pictures, so be prepared for a bulkier plug that covers the top outlet if you place it on the bottom one (the same isn't true if you reverse the order). That said, we consider the Belkin WeMo Insight Smart Plug to be the best light switch on the market. We like that it gives insights into your energy usage, and it gives you estimates on how much you're spending on energy, too. This is great if you're looking to cut down on your monthly power bill and be a little greener at the same time. The one big drawback is that you do most of your work with the WeMo Insight in the app, and the app leaves a lot to be desired. Yes, you can turn off and on devices from the app home screen, but once you start going deeper, you run into trouble. It's difficult to remove devices from the app, which is annoying. One redeeming quality of the app is that you can use it to integrate your plug with other services, such as IFTTT, Alexa, Google Assistant, Works with Nest and (unofficially) Samsung SmartThings. The only one missing from this smart plug house party is Apple's HomeKit, though you can connect using a HomeKit Bridge, which Belkin sells. For more flexibility, check out the Belkin WeMo Dimmer Light switch. Sure, you've decked out your home in smart led bulbs, like the Philips Hue, but if these aren't connected to a smart switch, you lose connectivity if the lights aren't controlled with a smartphone. That's where smart switches like the TP-Link HS200 come in. This well-designed switch may be connected, but it also gives a satisfying click, just like old-fashioned models. But the similarities with old-school switches end there. This switch taps into an app called Kasa, which is equally well-designed. From the app, you can create different scenes that turn on or off certain lights, or set lights to turn on when your home's motions sensors detect movement, for example. The switch does work with Amazon Alexa and Google Assistant, so you can ask both to flight the TP-Link switches in your home on or off. It may not be quite as good as the Belkin WeMo Smart Plug, but the TP-Link will make your home a more connected creature, which is great if you're looking to take your home into the 21st century. Unfortunately this switch is currently only available in the US.